Villagers of Kabanali village were in state of fear and shock after the Tiger reached their village. They unitedly fought to run him away. The tiger is stated to be making movements in the forests areas of Gawali, Kabanalli and Talawade of Khanapur taluk for the last four to five days. Assistant Conservator of Forests Prashanth P.K.M. said that the tiger was spotted near Gawali, Talawade and Kabanalli and adjoining human habitations around dusk. 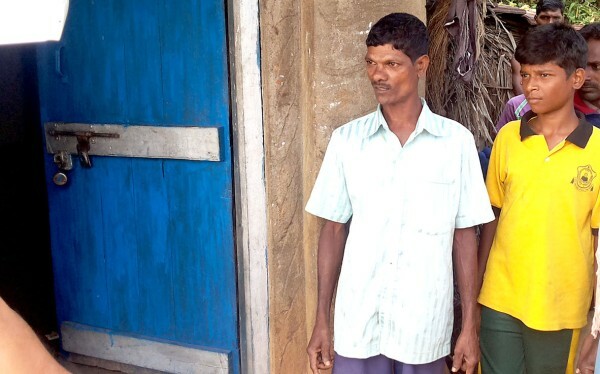 Sitaram Rane, a resident of Kabanali recalled the incident when he along with other villagers were heading to their respective fields, to guard their crops from animals during dark hours. `It was about 9.30 pm when we spotted the tiger in my field and we all together started shouting to shoo it. Rather than running away, it roared on us. This forced us to run away from the scene,’ he said. Villagers who carried huge fire sticks, crackers and sharp weapons to shoo away the tiger. Instead of going in to the jungles, the tiger entered the village scaring all the villagers, he said, adding, but the villagers continued chasing it. Rane said that the tiger was about to enter one of the house in the village, but at the last moment it changed its direction to the jungle, hitting and damaging the door of the house. Meanwhile, one of the team of forest department, which is deputed for monitoring the movements of the tiger said that before entering Kabanali, it had hunted a deer at Kanagala village, which is also near to Gavali.